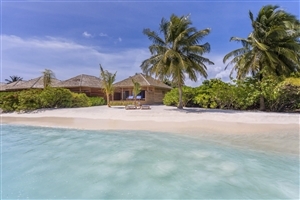 Located on the utopian island of Hurawalhi in the Lhaviyani Atoll, the Hurawalhi Island Resort sits as the one and only resort to enjoy the stretches of powdery, white sands, enriched coral reefs and cerulean waters that stretch off to the horizon. 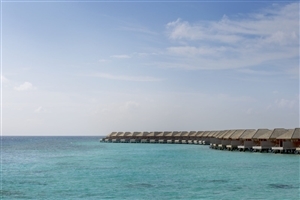 Hosting a total of 90 opulent villas, several exquisite restaurants and a whole host of soothing and recreational activities to choose from, guests are welcomed to a world of indulgence, where each moment is further enhanced by the surrounding setting, so whether you’re walking the beachfront as the sun rises or enjoying an intimate meal over sundown, unforgettable moments are sure to follow you at this heavenly resort. 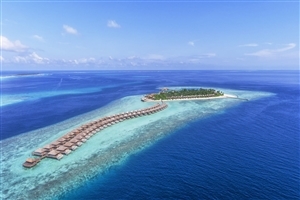 Sat atop the soft, white sands of the serene island of Hurawalhi, the Hurawalhi Island Resort invites travellers to indulge in the soothing ambiance of one of the Maldives most idyllic atolls. 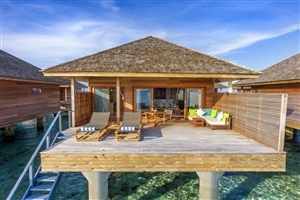 As the sole resort on the entire island, guests can enjoy a world of peace and quiet, with an exotic setting to match, boasting unforgettable views of azure waters, hidden reefs and verdant tropics that come together to create paradise. 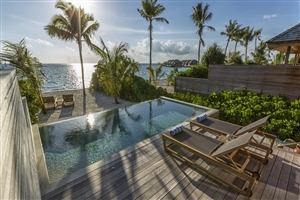 Boasting 90 lavishly designed villas, a number of in-house eateries and plenty of soothing and recreational facilities to utilise, this resort is what island vacations are all about. 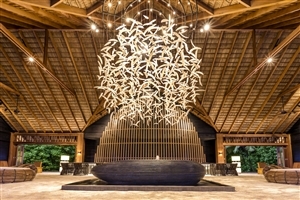 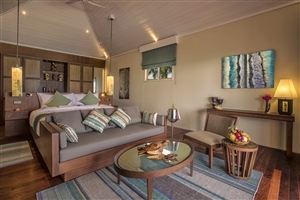 The Beach Villa offers guests a beautifully designed accommodation elegantly furnished with plenty of plush commodities and modern comforts all laid out in a truly tropical setting to impress. 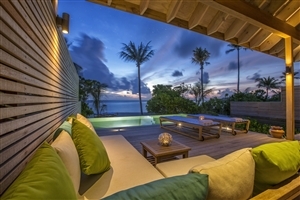 The villa is located on the beach and features beautiful views of the sunset or sunrise. The Beach Sunset Pool Villa offers guests a beautifully designed accommodation elegantly furnished with plenty of plush commodities and modern comforts all laid out in a truly tropical setting to impress. 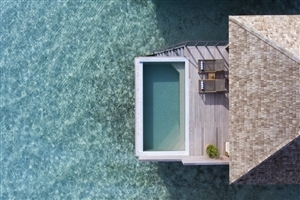 The villa includes its own infinity pool, is located on the beach and features beautiful views of the sunset or sunrise. 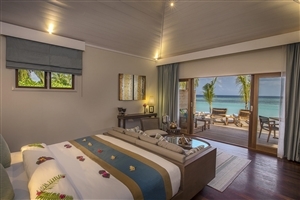 The Ocean Sunset/Sunrise Villa offers guests a beautifully designed accommodation elegantly furnished with plenty of plush commodities and modern comforts all laid out in a truly tropical setting to impress. 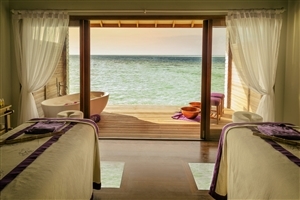 The villa is located over the water and features beautiful views of the sunset or sunrise. 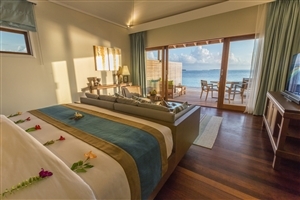 The Ocean Sunset/Sunrise Pool Villa offers guests a beautifully designed accommodation elegantly furnished with plenty of plush commodities and modern comforts all laid out in a truly tropical setting to impress. 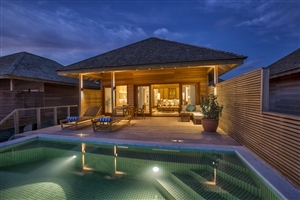 The villa includes its own infinity pool, is located over the water and features beautiful views of the sunset or sunrise. 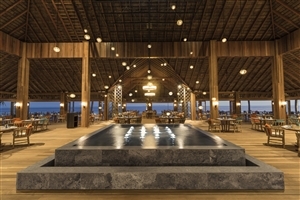 The Canneli Restaurant – Enjoy the fantastic array of flavours on offer at this all you can eat open-air buffet venue for breakfast, lunch and dinner. 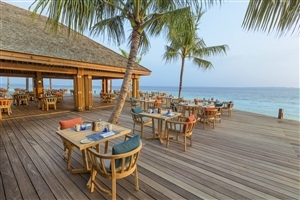 The Aquarium Restaurant – Sample the mouth-watering dishes of this over-the-water eatery that specialises in seafood, grilled delicacies and succulent cuts of beef. 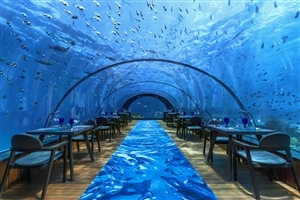 5.8 – Tempt your palate with the fine-dining taster menu of this underwater restaurant located beneath the lagoon. 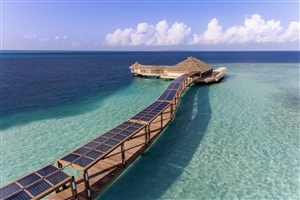 The Coco Bar – Grab a refreshing beverage and enjoy the view from this al fresco beach bar that overlooks the lagoon. 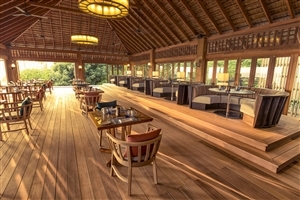 The Aquarium Bar – Sit back and enjoy the soothing drink selection from the over-the-water bar. 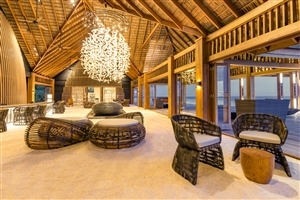 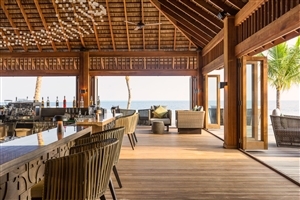 Champagne Pavilion – Indulge in the bubbly delight of champagne along with some tasty canapés at this Ocean Villa jetty bar.